Elementary school blog that uses a Superhero figure to appeal to the young learners. "the key to teaching and learning online..."
Thanks to Bee for this - they are great tips for us to keep in mind when creating our blogs. Bee has a new weblog to use during the EV 2004 TESOL sessions - you have until the 26th January to sign up for a session on weblogs, or the Webheads session, which covers using the Internet in general (chat, websites, mailing lists, etc), and which also covers weblogs. "This blog describes how a teacher can use a blog in their class. This particular blog was configured such that the teacher(s) is/are the only author(s) and the students can comment on posts made by the teacher"
(In Spanish) weblogs used as a regular system of working in class by students at the University of Navarra. 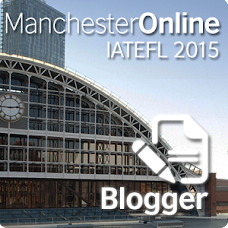 Although nothing to do with ELT, the site shows what use can be put to a system of using blogs with students as portfolios. The Register: "The humble weblog has finally achieved dominance over Google, the world's most-used search engine"
"Weblogs were created by ESP, Science"
"Students will be able to view their writing assignments published on this Weblog,after they are corrected by the instructor and re-written by them." "Microsoft has introduced Wallop, an invitation-only social software tool that combines a photo album, blog, and ways to 'interact with your friends' - which, according to a Wired article, makes it sound kind of like Friendster, IM, and blogs all rolled into one: ''What we are interested in is the whole blossoming of blogs, which let people express themselves, and social-networking software, like Six Degrees or Friendster,' she said. 'It's a really easy way to author things, a really simple blogging tool that lets you add pictures.' "
Learners of English as a second language express their ideas and opinions on topics of interest to them. Readers can explore an international world. "This online session is designed to demonstrate issues involved in using blogs in ESL/EFL environments and basic procedures for creating one. Participants will create and share blogs and their concepts of how to use them. " "ESL & Native English Classmates Learning Together - This weblog project is a log of the learning journey combining a group of ESL students and their native-speaking classmates in an elementary school. Students will collaboratively develop their abilities as speakers, listeners, readers, writers and thinkers using weblogs to write about topics of interest to them." "A 20-something Canadian teaching English in China. This blog is about my experiences with teaching, with culture shock, and with my adventures in China." "A collection of seasonal diaries by Japanes college students"
"TypePad is a powerful, hosted weblogging service that gives users the richest set of features to immediately share and publish information. TypePad lets people communicate, publicly or privately, with the audience of their choosing "
This last feature could be particularly interesting for those of us in education. "One reason that so many of us find weblogs exciting in the realm of knowledge management is that weblogs reveal that the most important knowledge needs to be created before it can be collected and organized"
"Weblogs, also called 'blogs,' are dynamic, flexible web spaces for researching, reading, and writing. The technology allows writers to draft, edit and publish writing to the web, to store and update internal and external links to useful information sources, to organize work over time, and to collaborate with other users on shared projects. " "Blogs are well suited to serve as on-line personal journals for students, particularly since they normally enable uploading and linking of files. Language learners could use a personal blog, linked to a course, as an electronic portfolio, showing development over time. By publishing the blog on the Internet, the student has the possibility of writing for readers beyond classmates, not usually possible in discussion forums." "So, i decided to wite this blog in english, in order to keep practicing the language. Please fell feel free to correct me, or teach me, different ways to express myself more clearly." An example of a weblog being used as a language learning tool by a very self-directed learner. "Students, like myself, usually start by writing a summary of the reading assignment because they are unsure of expressing their own thoughts; only later, with practice and confidence, students become more comfortable expressing their thoughts and reactions about an assigned reading. The teacher usually does not mark journal writings; however, teachers usually comment on the student’s responses. I believe teacher’s comments encourage students to write and express new ideas in their journals." "Weblog can be training platform for students to show their skills in creating web contents. School newsletters can now be made available online via weblog.… blogs are going to be morphed into all kinds of interesting configurations. They will be less easy to define and serve widely different purposes.” The possibilites of the use of weblog in education are only limited to imagination and creativity." "due to time constraint, the primary audience of a student's journal is restricted to the instructor. It would be beneficial for the learning process if journal entries can be published and received feedback from the public. "